At MISSION INDIA GROUP, Being One Of The Top Developers In Pune, Under The Inventiveness Of Mr. Sagar Shinde And Mr. Sunil Pawar, We Situate Stockpile In Constantly Re-Examining Ourselves Toward Thrash The Difficulties Of A Energetic Business Circumstance And Undertaking Maintainable Growth, Brilliancy, Kindness, Consistency, And Efficiency Are Our Core Traits. Among Solid And To A Great Extent Characterize Long-Haul Vision Of Mr. Sagar Shinde And Mr. Sunil Pawar, MISSION INDIA GROUP Has Turned Out To Be One Of The Core Business Combinations. We Are A Predominant Influence With Proficiency Traversing Crosswise Over Real Estate, Infrastructure Development, And Hospitality. We Additionally Put Stock In Authority By Conveying Excellent Execution In Each Space And Corporate Obligation By Means Of Administration To Society. We Are Focused On Accomplishing Perfection In All Organizations That Wander Into, With The Goal Of Turning Into An Association That Every One Of Its Representatives And Partners Is Pleased With. A Dynamic Personality, He Has Successfully Introduced The Latest In Technological Innovations In The Construction Activities Of Mission India Group. The Departments Of Administration, Marketing, And Finance Have Immensely Benefited From His Unique Ideas.H E Is Supported By A Team Of Qualified And Experienced Professionals, Who Bring With Them Critical Inputs, Very Necessary And Indispensable To The Success Of Any Business Venture. He Has Introduced Quality Management Systems In The Field Of Construction And Thereby, Environment Management Systems. 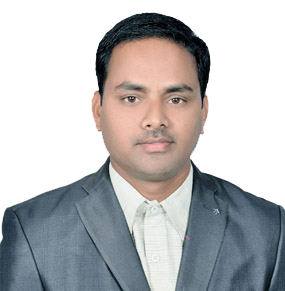 Young And Energetic, Mr. Sagar Shinde Holds An Affable Personality And Comes With The Right Poise And Demeanor. He Lends A Fresh Perspective To The Business With His Curiosity And Eagerness To Learn More. An Excellent Team Player, Under Mr. Sagar’s Leadership, The Group Has Completed Several Projects With Great Success. 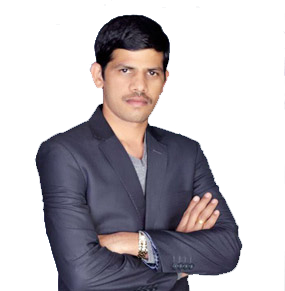 An Entrepreneur With A Progressive Focus On The Spheres Of Purchase, Operations, And Upgrade Of Systems And Processes, His Forte Is The Management And Design Of Systems For-Profit Centers In The Fields Of Hospitality, Healthcare And Education With The Objective Of Cost Saving And Revenue Growth. His Contribution To The Group Ensures Smooth Operations And Target Achievements. Disciplined And Spiritually Inclined, Dr. Sunil Pawar Believes That Learning And Obtaining Knowledge Is An Everlasting Process. He Credits His Achievements To Hard Work, Perseverance, Perpetual Innovation, And Values. A Powerful Leader Who Has Used His Years Of Growing Expertise To Enhance The Sales At Mission India Group And Has Successfully Met With All Targets. Dr.Sunil Pawar Holds The Credit Of Successfully Setting Up Markets Representative Network Across. He Has Played A Major Role In Setting Up A Huge Clientele Base By Hosting Regular Events And Presentations. He Has Also Set Up A Strong Network Of Partners For The Organization.